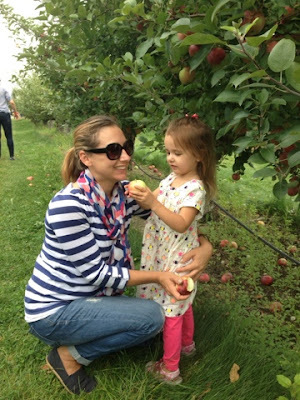 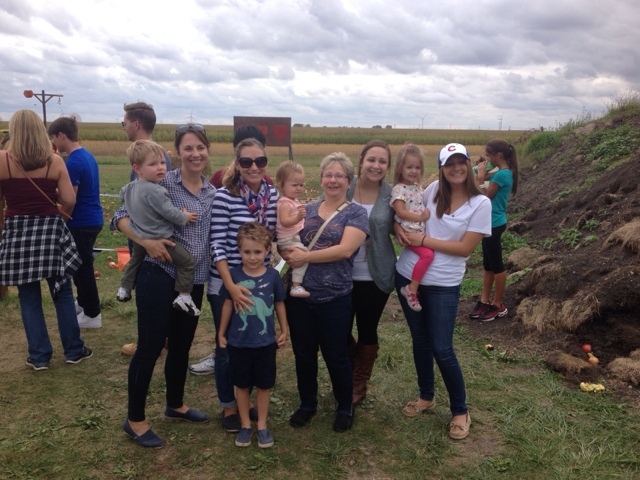 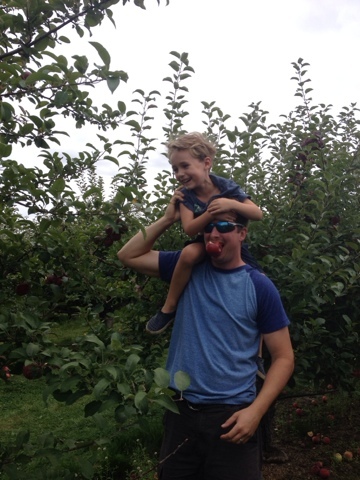 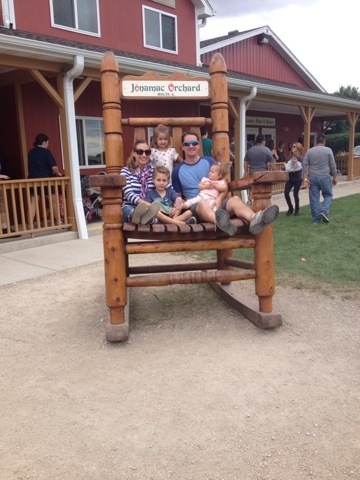 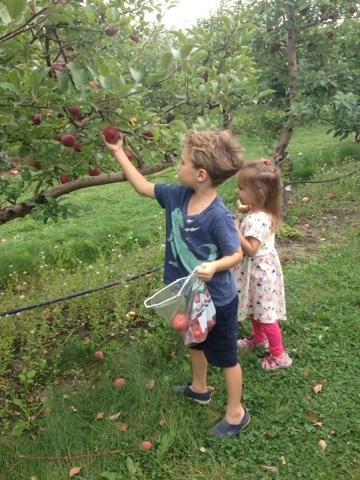 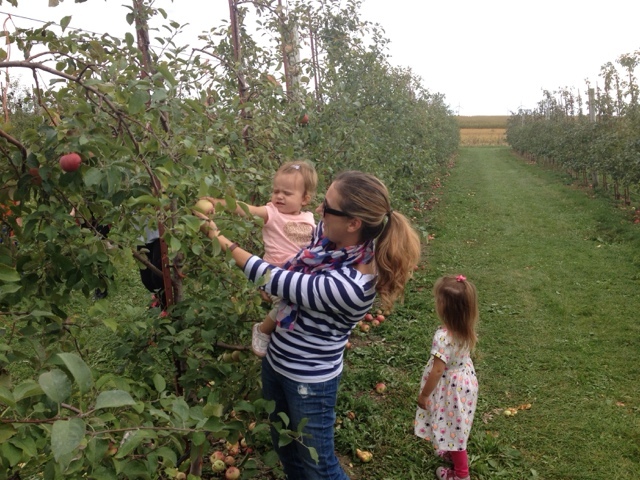 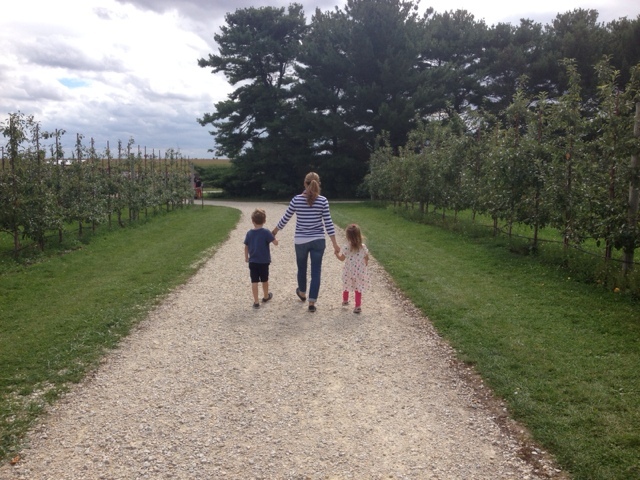 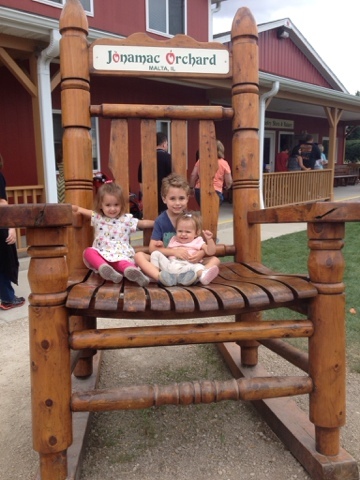 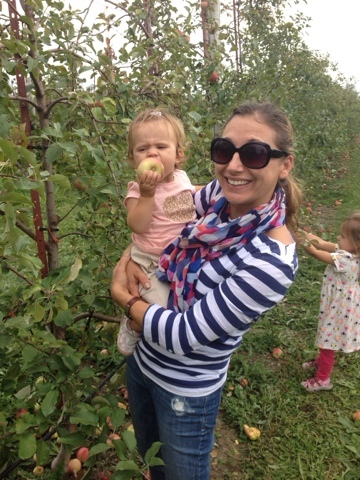 This past weekend we headed up to Jonamac Orchard to do some apple picking. 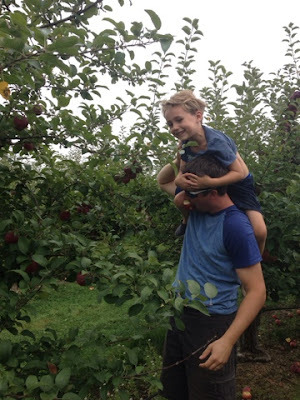 This is our 3rd year in a row going and I love that it has become tradition. She is such a cute apple picker! 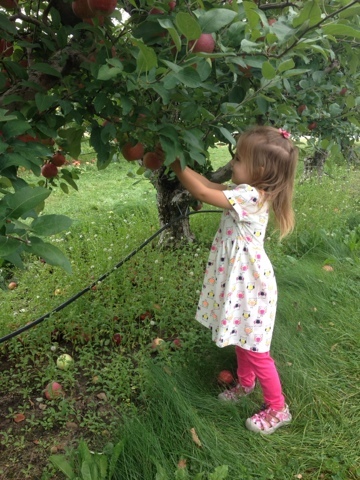 This was her first year really into it. 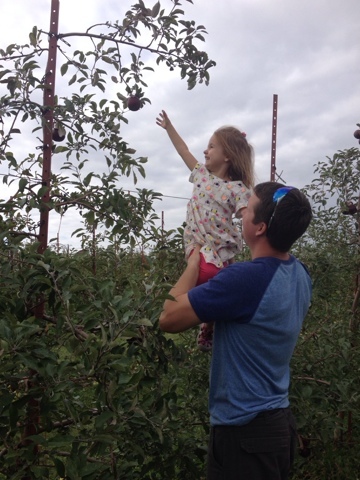 She had a blast picking apples and was so cute when she would grab one and if it wasn't up to par she would say "Ew, yuck" and throw it on the ground. 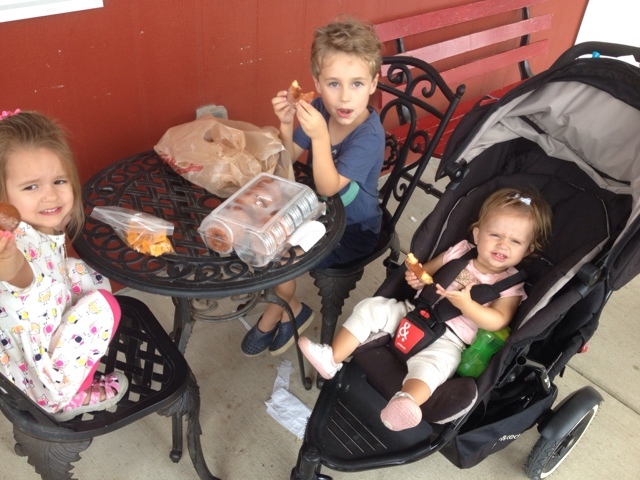 One of the best parts.. fresh apple cider donuts!! 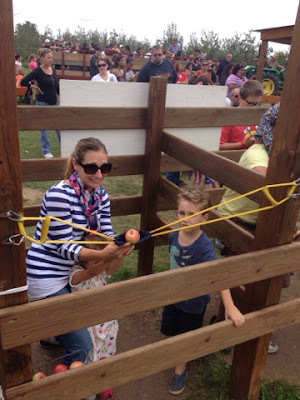 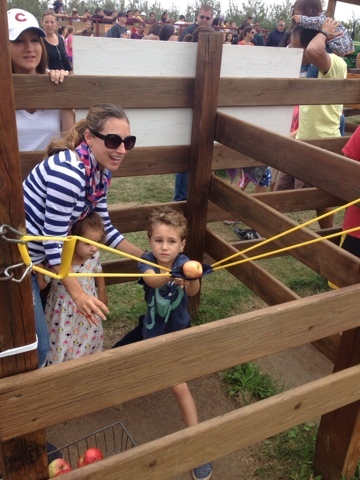 They have this fun apple launcher and each kid got to do it (well Brayden & Ella) - Brayden was sad he didn't hit the target with his apple and it didn't help that Ella (with my help) hit one...oh gotta love sibling rivalry! 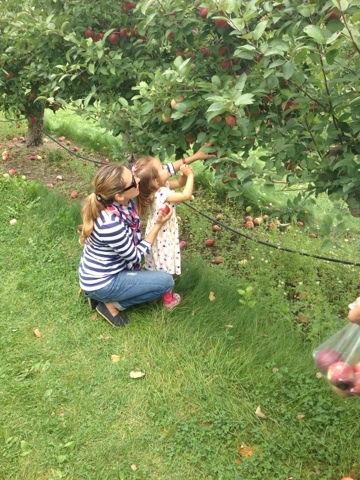 We had such a fun day apple picking - now to find some yummy recipes to make something all these apples!